That's the main reason why we develop this player . Do you already have a pricerange where this player should sit? It's around 40 USD for the bluetooth version. If it's gonna look like A02 or very similar please release it in a cool Yellow color like A02 has! P.S. 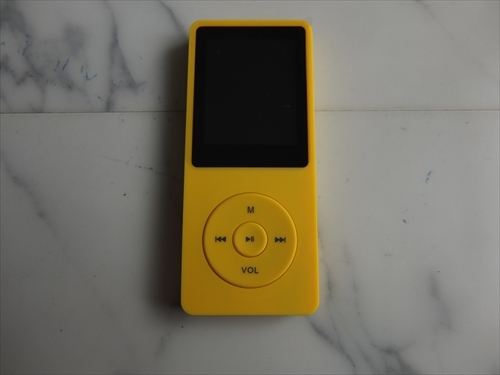 It would go great in combination with Yellow/Black Rockbox interface. I'm glad to see this thread is still alive, I'm really eager to see the device. because compared to the A02 it had no OGG-Support(or is that wrong on amazon? ), shorter Battery life, was missing the menu-button (compared to clip+) and was still more expensive than A02. I think you're doing good designs, so I'm just waiting for what you choose. I guess a 1-color display is not for everybody so probably design an even cheaper/durable/reliable/cpu-performant/batterylasting other rockbox-preloaded player. That would be a dream for me and I guess many others, too. Anyway you're doing great and there's so many whishes popping up here and I'm eager to see what's coming. Is it really just a few months ahead? A12 does play OGG files. Thanks for the suggestion. Yes, we are planning to launch the new model in two months if everything goes well. However, we couldn't make any promise. Hi, I'll list my opinions / whishes about what I would like to see in a rockboxable small player. microSD is enough, of course full size SD is a fun idea, but I can't see that working in this small form factor. When it comes to capacity, I've used 128 gb cards in my all my sansa clip plus and zip's, so that is my need. I see on your site that the x12 is stated to only accept up to 64 gb, but Sansa said the same about the plus & zip... in reality a FAT formatted 128 has always worked for me. I hope it will on your coming device also. In the same ballpark as the sansa plus & zips. I want to clip my player on the neck of my tshirt, the hem of my shirt etc, to be easily accessible to pause, skip etc. I don't wanna fumble around in my pocket. Durable hardware for the buttons - outer buttons need to be designed with limits for their movement. Sansa failed hard here. If one drops the sansa and it lands on it's volume button, the plastic outer button slams into the surface mounted microswitch so hard that it breaks loose completely from it's soldering. AFAIK the 'normal' (read: non-sansa) way of design is that the outer plastic button 'should' have a "movement limit" in its mounting, like a plastic ridge or something, which stops the outer button from being pushing too hard into the microswitch on the circuit board. As far as I can tell Sansa skipped this, and thus this has become one of the common breakages (google it). I have three devices with this damage. (yes I am a bit clumsy). I would gladly have a player that is 5 mm wider, taller and thicker, if it also was more durable. Aftermarket silicon sleeves protects a little, but not so much against this. The sansa clip&zip have a good amount. Placement... of course it needs to be usable, but I would say that most placings will be workable in a small player. I can live without it, after all I used ipods (rockboxed) for a few years. But it is a very good thing to have. I have even used it to record sound from small fm-microphones! I definitely need a clip, but I am certain it could be put on a silicon sleeve. Actually I would prefer that. The Sansa clip is pretty easily damaged if the device is dropped. The plastic is so very thin where the axle is fastened. If the clip functionality was in a silicon sleeve instead, it would be easier to replace if broken, and perhaps also would not break so often. For what, album art? On a screen that is 96x96 pixels...? hahahaha, no. Ok, opinions may differ, but I think it is silly. I do prefer the Zips screen over the Plus since it is larger, but color is the lowest priority I can imagine. And I remember the Plus duo-tone screen as better in sunlight than the Zip. I think the A12 is a little bigger than the Sansa Clip Zip. And I think that's good. It's still small, but substantial enough not to be tiny. I see on your site that the x12 is stated to only accept up to 64 gb, but Sansa said the same about the plus & zip... in reality a FAT formatted 128 has always worked for me. I hope it will on your coming device also. This type of statement regarding capacity almost always boils down to the naivety of the marketing department, or blind copy of some boilerplate text. There isn't in fact any SD specification that has a 64GB maximum addressable capacity that I'm aware of. SDHC specification can address up to 32GB, and SDXC can address up to 2TB (A density that, without a major advance in technology, we will never reach in an SD or microSD form factor). When an OEM states that a device "Supports up to N GB", they're almost always simply deploying SDXC specification (because, ...why wouldn't you?) and then listing the largest SD or microSD card capacity available at the time. A few OEMs have clicked on to the absurdity of this, and likely got sick of the repeated questions every time a vendor releases a larger density card, and now list "Supports up to 2TB" in their product information. If I had to make a guess, I would think that these guys just did a blind copy of some of their older information or their marketing department guy had a stroke. It's the only way I can make sense of it. There's almost never a justifiable reason to artificially limit the maximum external storage capacity. small and with a clip would be awesome. I like to wear my player outside a pocket or on the strap of a bag to have it accessible all the time. If I had to pull the player out of my pocket every couple of minutes I could just as well use my phone. Personally, I'd dig a small color screen and I'd even use cover art. 96x96 is too small, though. 128x128 would be nice. Album art is something I can take or leave on small factor DAPs. I realize this is somewhat of an unusual position for someone who has invested so much time and effort into steering the evolution of the Rockbox theme engine and a lot of time into (ab)using it, but it is my position nonetheless. For devices with displays smaller than QQVGA, I think dedicating a large portion of your (already very minimal) screen real estate to a largely useless static image is a massive waste. Especially so considering that most of the detail in the image will be lost or discarded by scaling (we use a very fast and efficient scaling algorithm, but even if we used a better, slower, and more computationally intensive scaling method at these resolutions most detail will still be lost) and dithering. This basically guarantees that unless you are already very highly familiar with the album art that you will need to refer to the metadata anyway, because there's no way on Earth you'll be reading the album title or artist information from the cover art unless the glyphs are simple (preferably Latin based alphabet, Chinese/Japanese/Hebrew/etc. and other complex glyphs will get smooshed into glyph oblivion by dithering and scaling), the text takes up a disproportionate amount of the image, uses a clean proportional font, and has a relatively low word and glyph count. One consideration is that display of album art basically guarantees that unless you use a microscopic font or the metadata word and/or glyph count is extremely low, that the metadata will scroll which is ridiculously distracting. An obvious "solution" to this is to display album art as a conditional element to be displayed when the player is hardware or software keylocked. I suspect a majority of people don't do this in their themes because I sincerely believe that there's only two or three people (gevaerts, yourself, and myself) capable of writing a theme that will do so cleanly (without draw order artifacts). It also depends on a couple of system settings to make it useful, 'backlight on hold' needs to be set as either 'on' or 'normal', and you would want to have 'first button press enables backlight only' set in the case of 'backlight on hold' being set to 'normal'. This is fairly device specific though, because it depends on the capabilities of the display as to whether or not the backlight can be enabled or disabled independently of the display itself. Another consideration would be the amount of time any given individual actually spends looking at the display in the first place. I would posit that a majority of people either put on a playlist, or album(s), or shuffle their library and except for the occasional track skip or volume change don't interact with the device again until they stop playback or chose another playlist/album/artist. I would also posit that a majority of people to track skips and volume changes 'blind' and don't actually look at the display at all while they're doing so. I guess you are not aware that all of the iPods from the (3G...maybe?) 4G/Color/Photo onwards support FM Radio via the iPod Accessory Protocol? FM support isn't enabled in the iPod builds by accident. It requires additional hardware, sure, but it is definitely a thing that exists and we have had support for it in Rockbox's IAP implementation for an eternity. Page created in 0.165 seconds with 65 queries.